Size 1.5" x .5" x 1.375"
Description A used rubber hand stamp from a lot purchased from a retired New York Central (NYC) Railroad Ticket Agent. 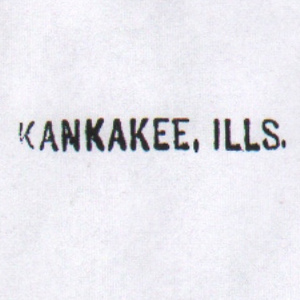 This stamp is for "KANKAKEE, ILLS." 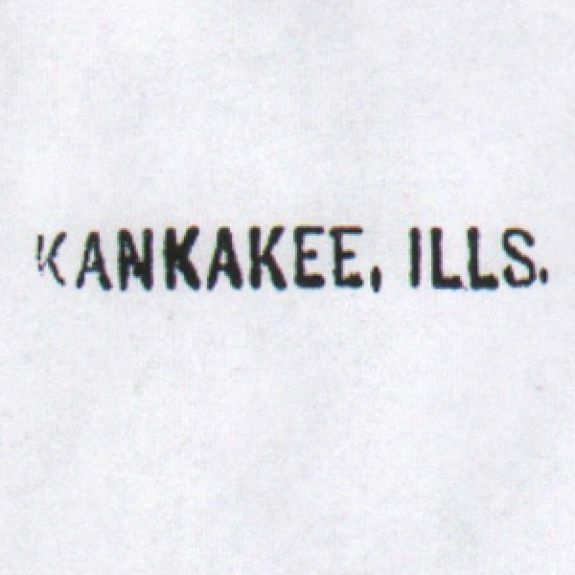 (Kankakee, IL south of Chicago, IL) and was used to quickly fill in the origin (FROM) or Destination (TO) space for cities a railroad ticket agent frequently sold tickets.